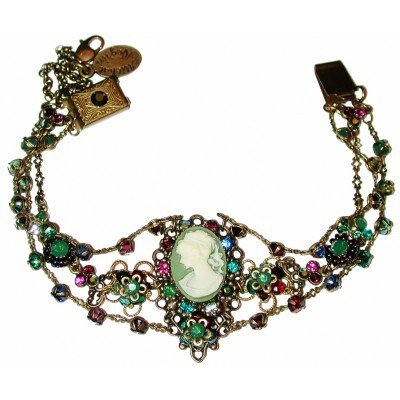 Michal Negrin bracelet. 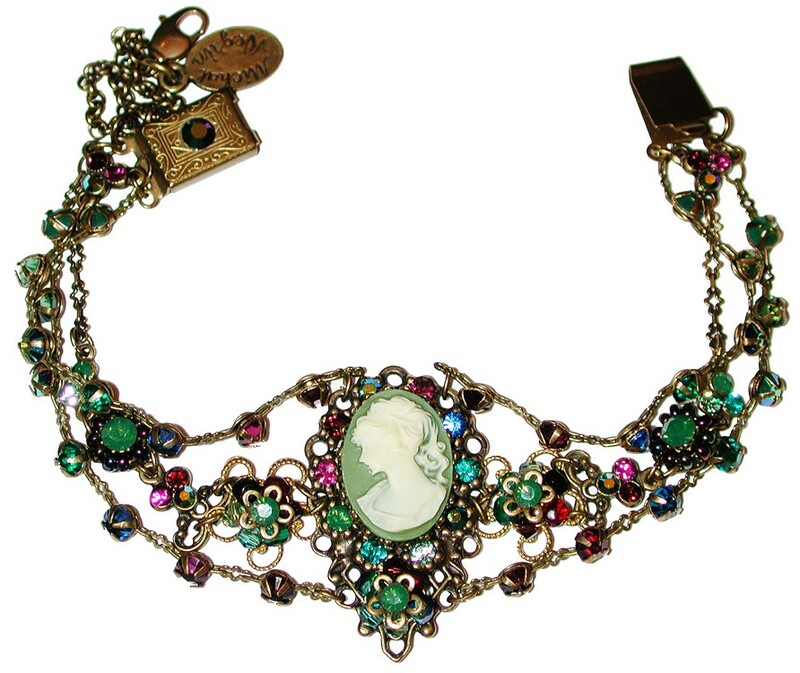 With a Victorian style Lady cameo, green, fuchsia, blue and garnet sparkling Swarovski crystals and beads. Measures 6 3/4 inches long.